Vallarta Adventures is one of the largest activity companies in Puerto Vallarta, Mexico and has been in business for more than 20 years. They offer tours that include everything from exploring hidden beaches to ziplining in the nearby jungle. For a cultural experience, the company’s tours to magical towns couldn’t be a better option. In an effort to preserve its heritage, Mexico has developed a program to help preserve some of its most beautiful, culturally rich and historically relevant towns, where visitors can have a “magical experience.” These towns are often located in rural, out-of-the-way places and receive government assistance to preserve their natural and historic beauty. Recently, I visited Puerto Vallarta and took a tour to visit Talpa and Mascota—two local magical towns. Guests take a van into the mountains on a winding road, stopping at a roadside bakery perched on a precipice. Guests can get Mexican coffee, try chayote, buy tasty sweets and—of course—use the baño. Make sure you get a photo of the stunning gorge below and the bridge that spans its depth. Your next stop is the town of Mascota. The colonial town was, in its heyday, occupied by miners and its streets were lined with shops, haciendas, bakeries, and restaurants. These days, there is another unique program in the town—a local dairy, which is the brainchild of a high school student who wanted to create a way for the local people to be able to survive in times when local industry or tourism had dried up. He thought to use the dairy to sell milk and make cheese. Now, the cheese from this project is known throughout the region. 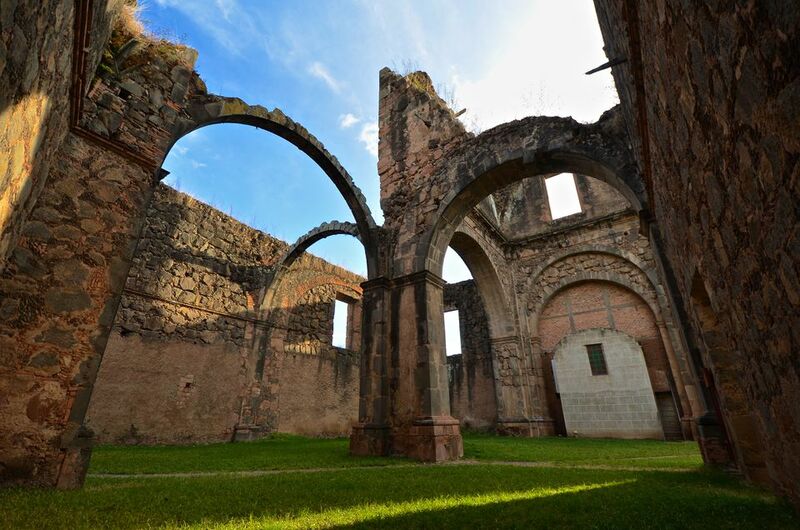 The group then heads back to visit the ruins of the town's large cathedral, La Iglesia de la Preciosa Sangre, which fell into disrepair due to the Mexican Revolution and was never completed. You also explore the main square and visit the Museum of Archeology, located in the old high school. As you leave Mascota, you may see a stream of people walking along the sides of the winding road down to Talpa de Allende, surrounded by pine forests and nestled at the bottom of a valley. This is because Talpa is a pilgrimage town, and millions of people come from around the country to pay homage to its patron saint known for her healing abilities. January through Easter are particularly busy months and during our recent visit, we were lucky enough to arrive in Talpa just as a procession was completing its pilgrimage into the city and marching, with band in tow, into the stunning cathedral and accepting the blessing of the local priest. Talpa is also a wonderful place to do some local shopping. As you explore its winding cobblestone streets your guides will show you the delicious candy factories that line its side streets. There is plenty of time to explore this magical city and pick up some locally made handicrafts. Next, guests head back to Mascota, stopping first at the Villa Cantabria for stunning views of Talpa and the extinct volcanoes that stand high above the verdant valley. Once in Mascota, the group stops for a lunch prepared using organic ingredients locally sourced from the Talpa and Mascota region.